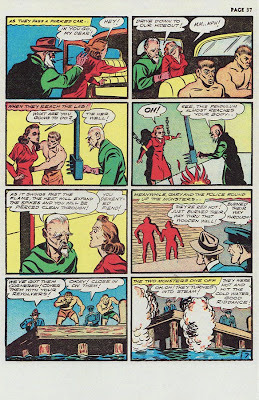 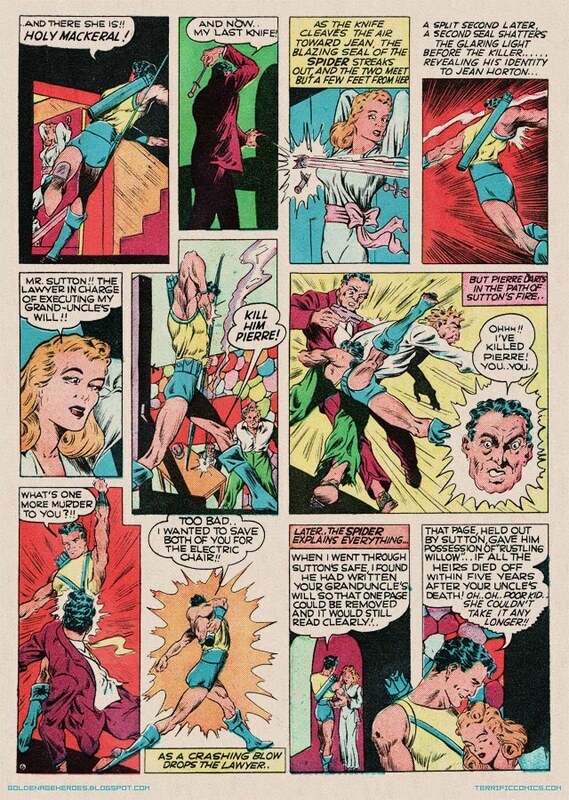 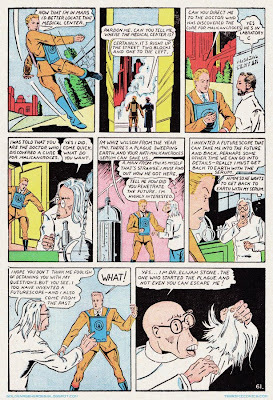 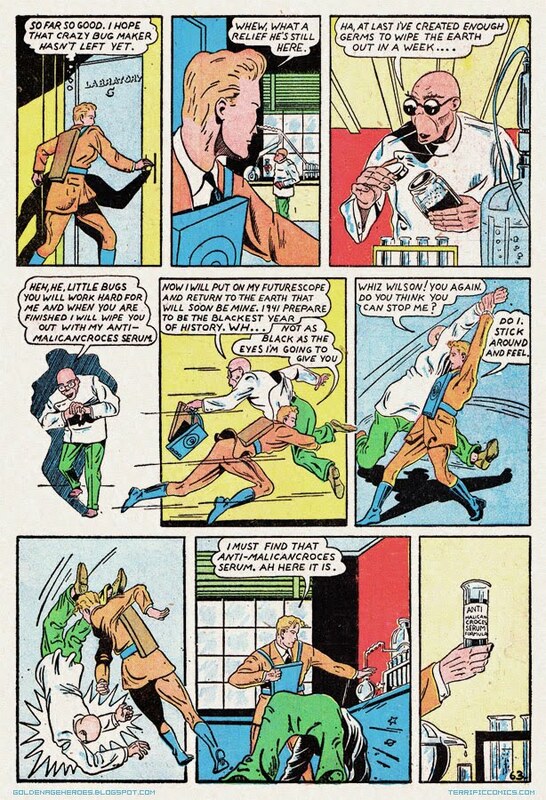 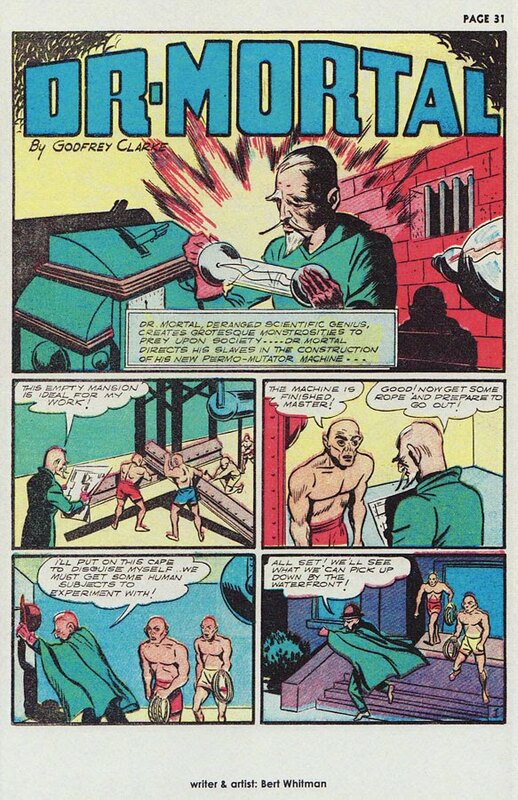 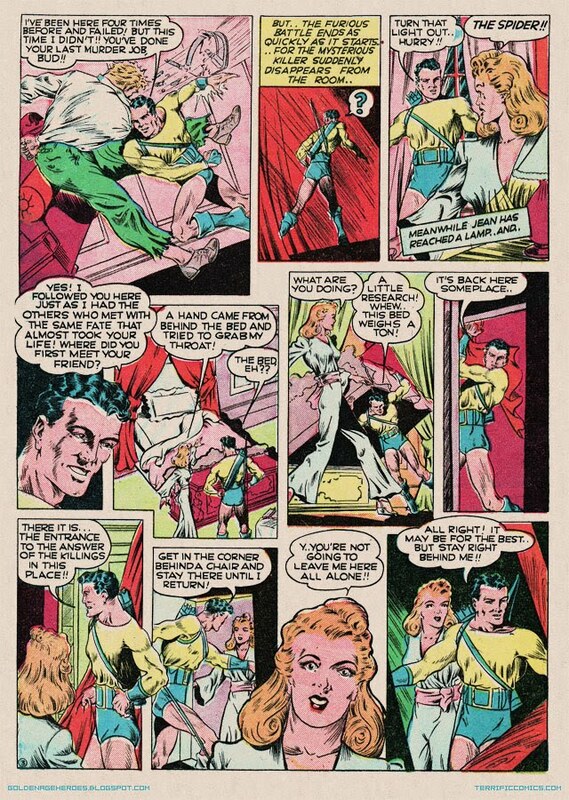 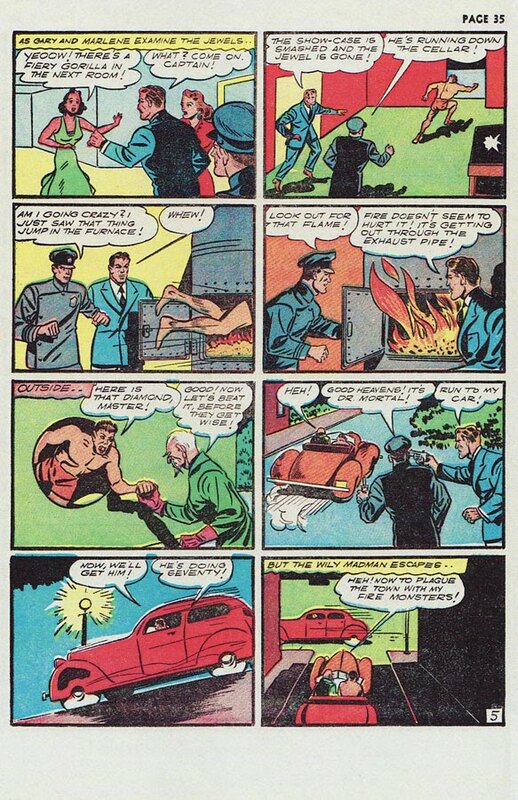 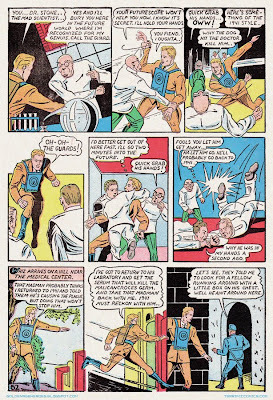 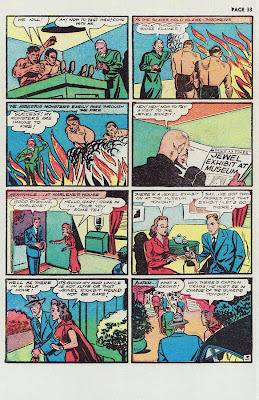 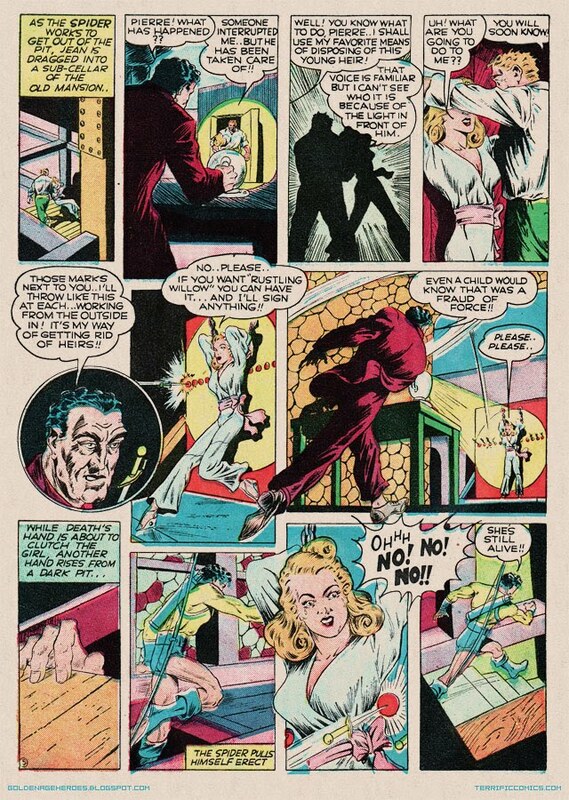 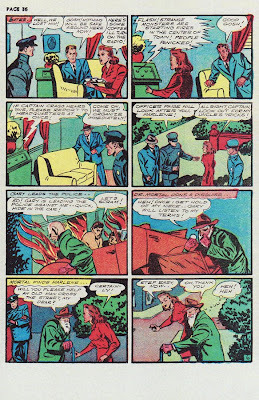 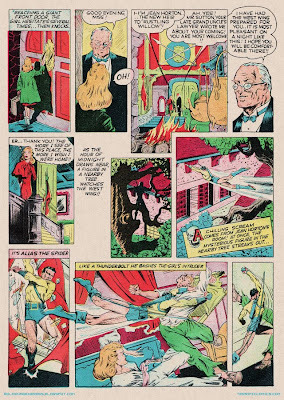 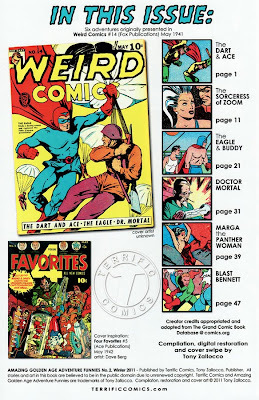 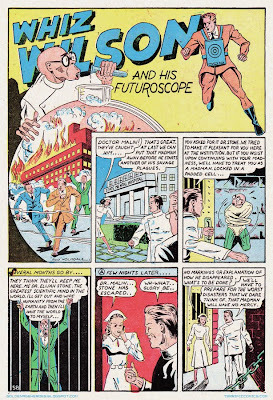 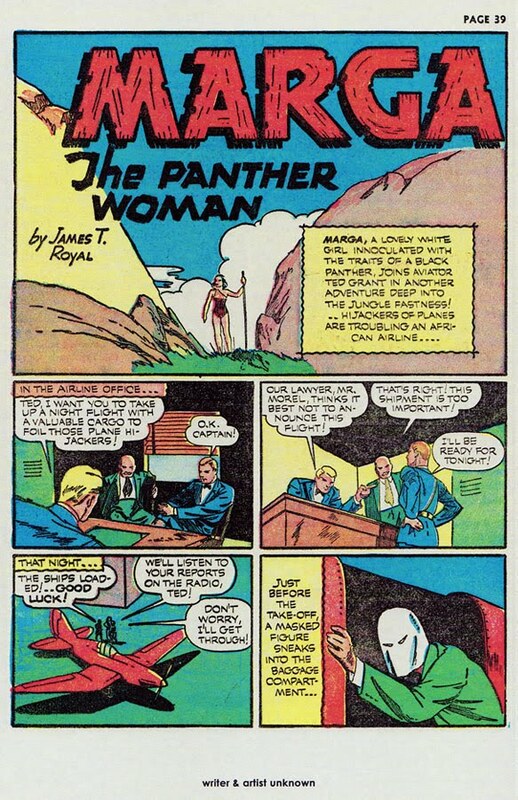 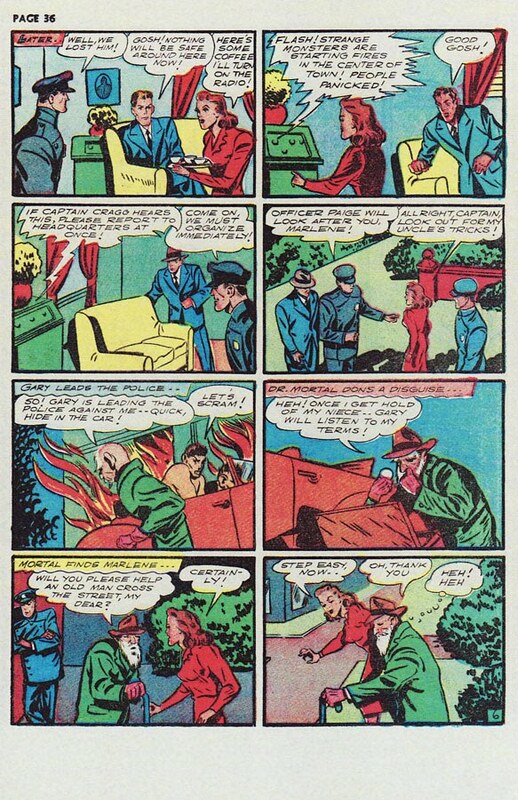 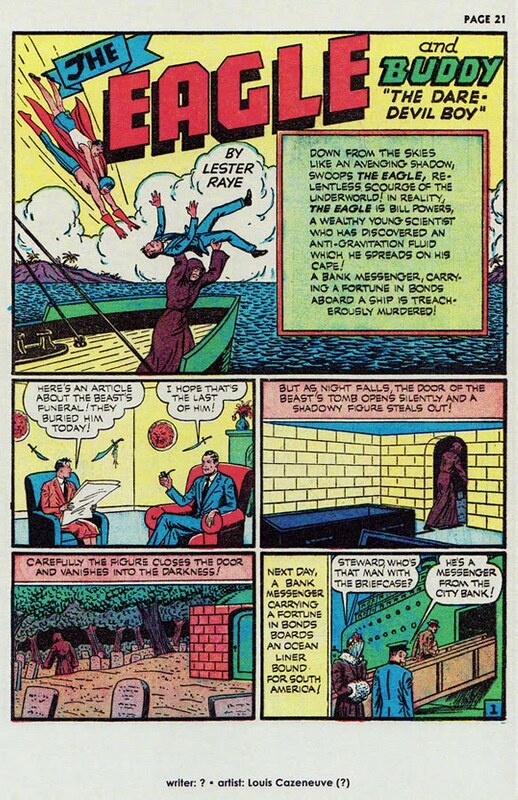 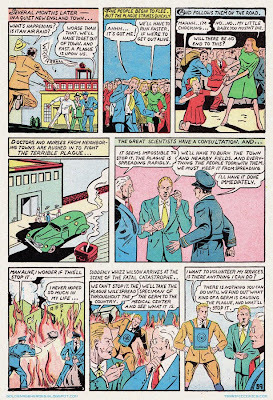 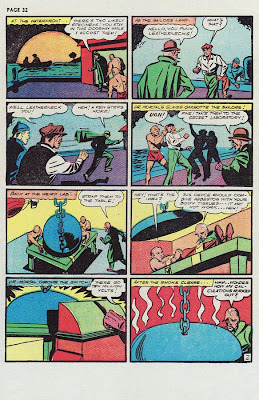 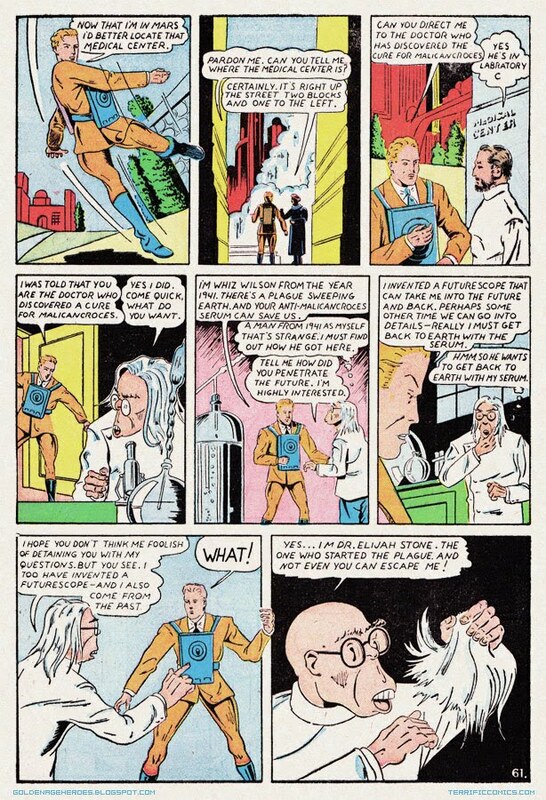 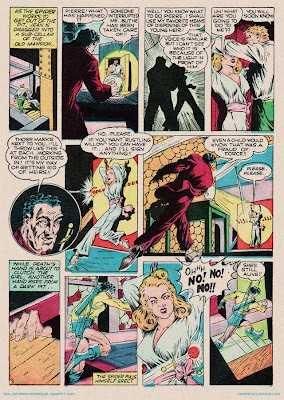 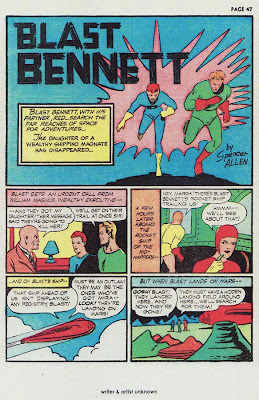 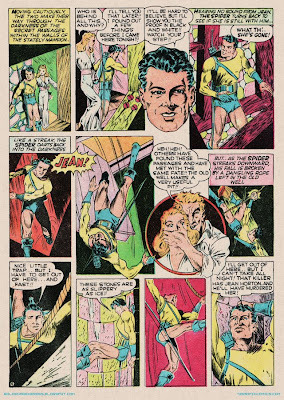 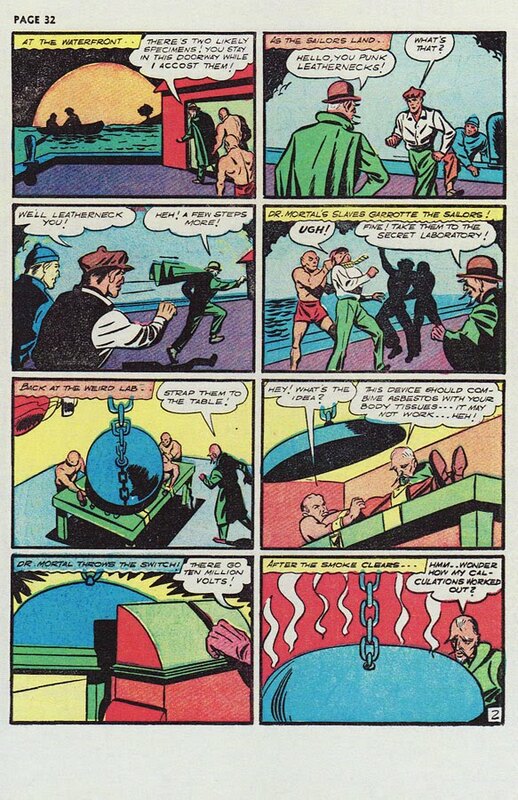 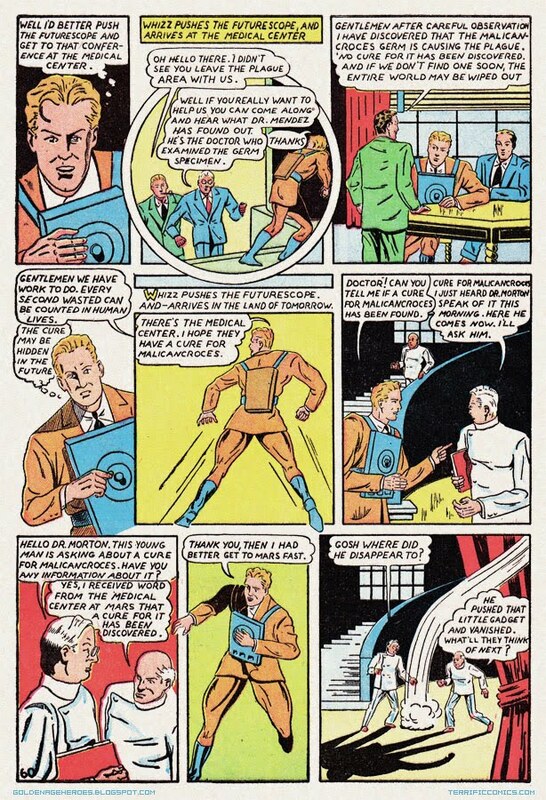 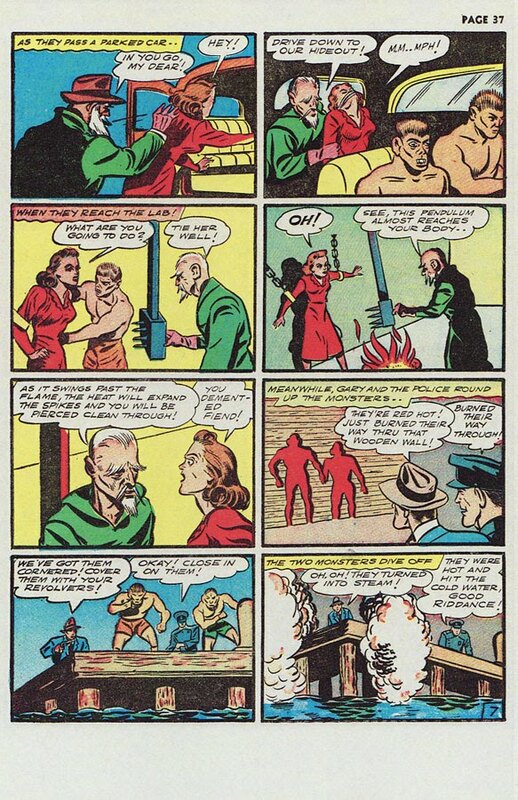 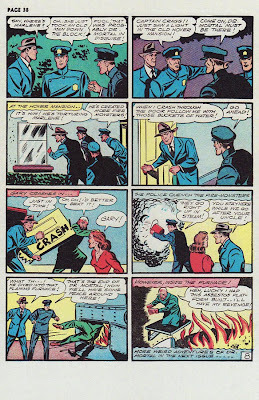 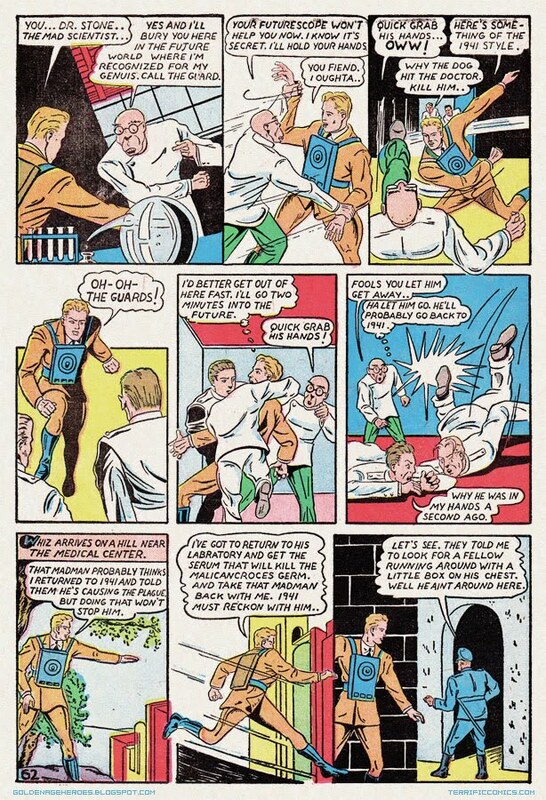 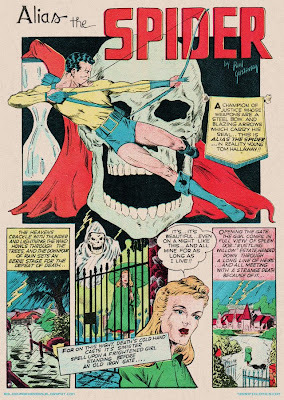 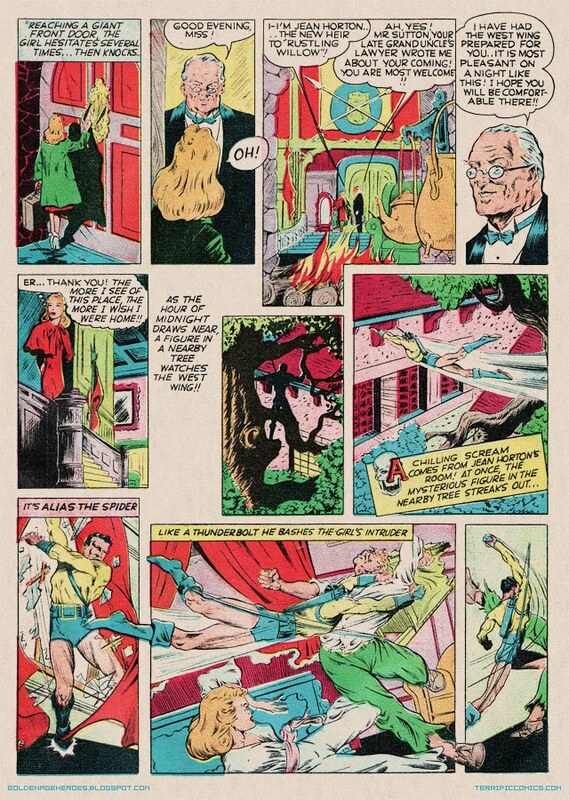 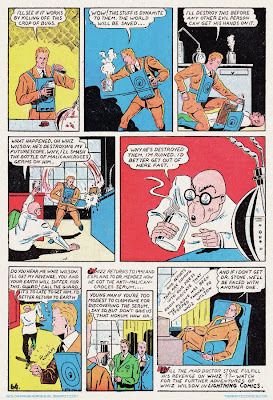 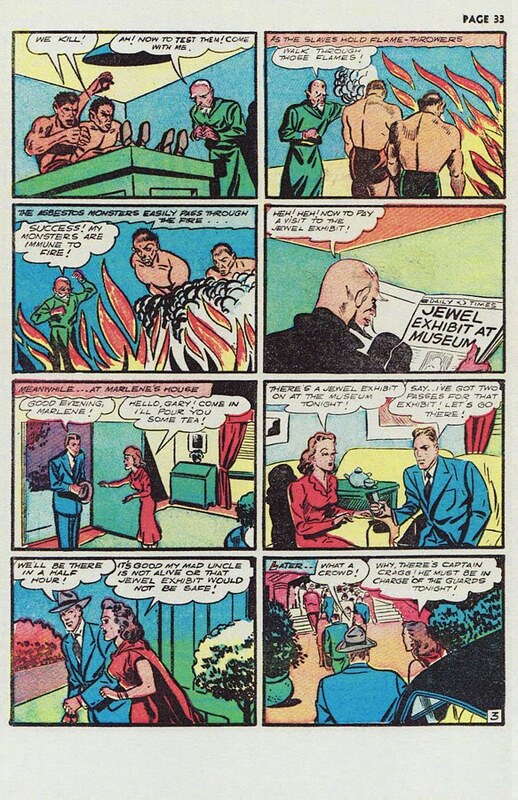 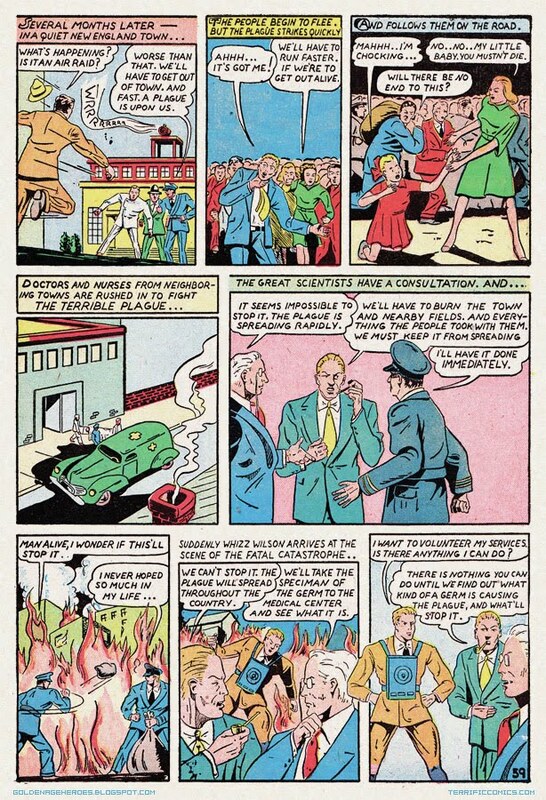 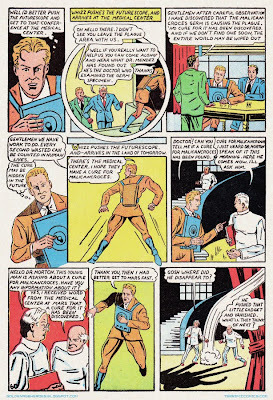 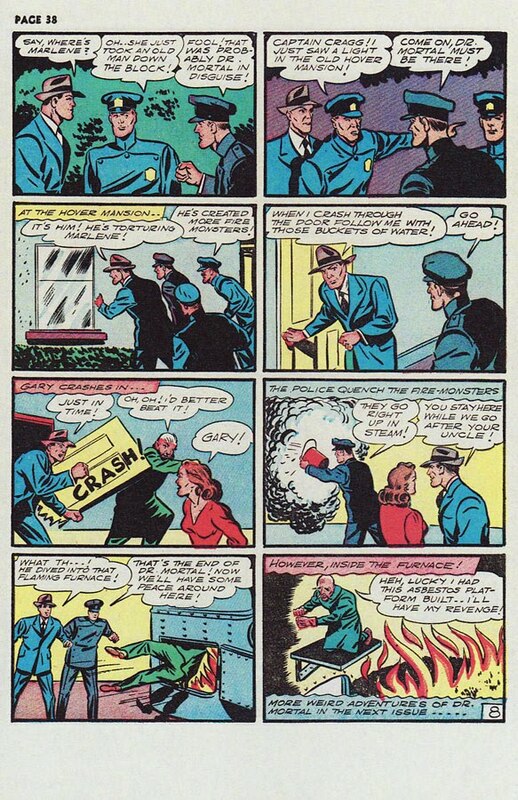 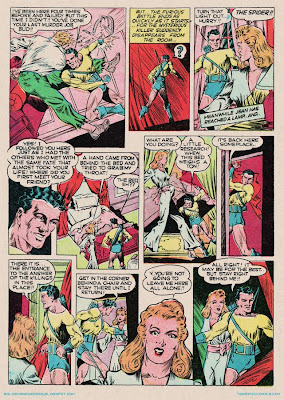 Whiz Wilson appeared in SURE FIRE COMICS v1#1-#3 (there were two #3s/June-Oct 1940) and continued in LIGHTNING COMICS v1#4-v2#4 (Dec 1940-Dec 1941). 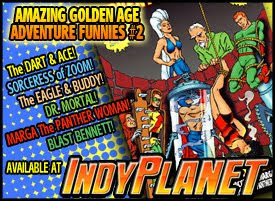 Time once again for some shameless self-promotion! 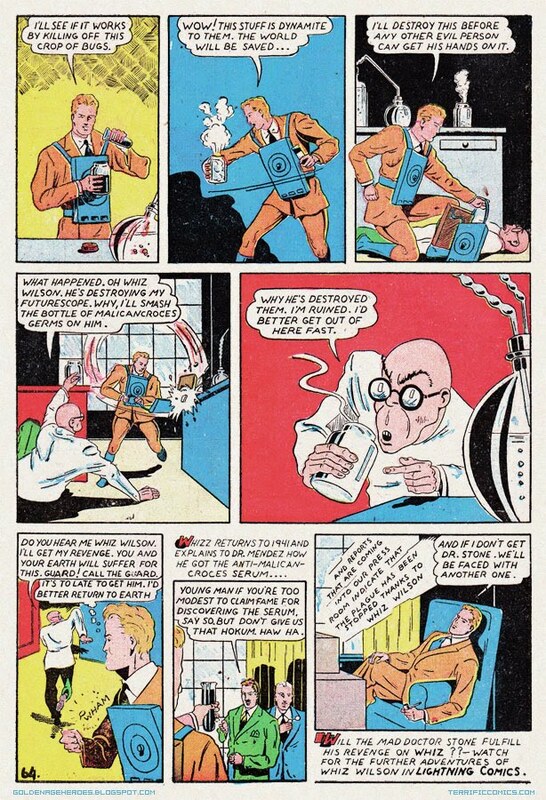 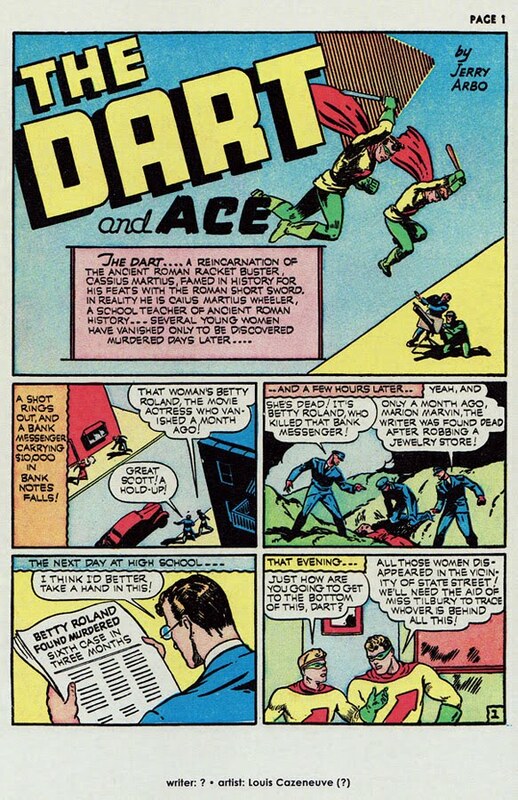 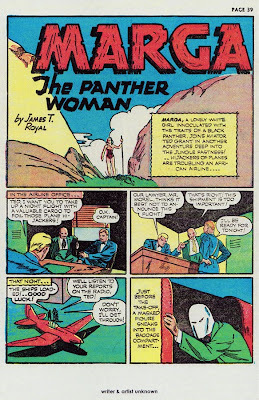 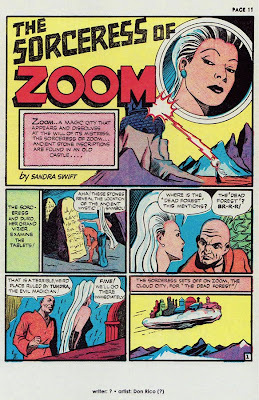 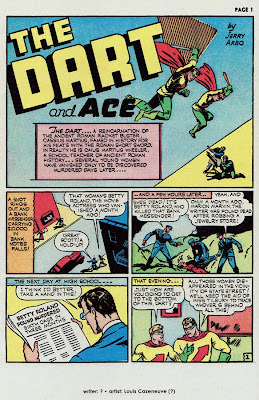 AMAZING GOLDEN AGE ADVENTURE FUNNIES #2 is now available! Check out this preview featuring the complete Dr. Mortal story! 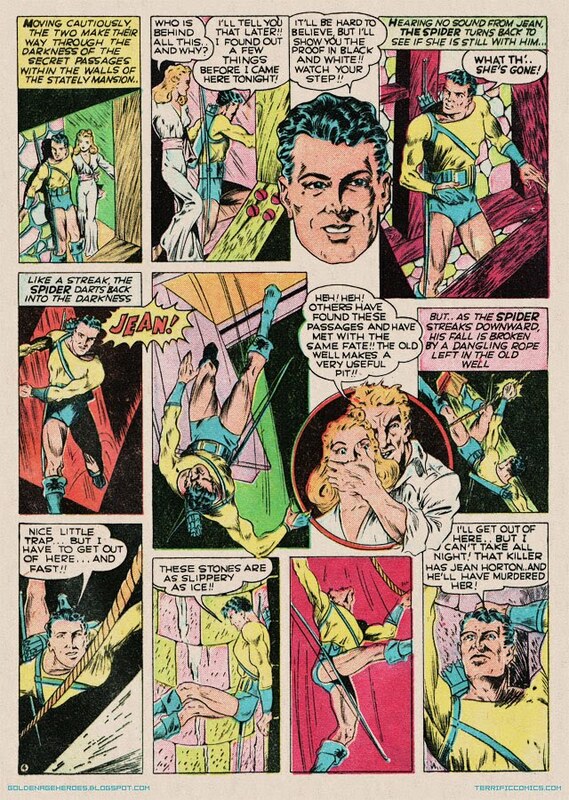 A champion of justice whose weapons are a steel bow and blazing arrows which carry his seal...this is ALIAS The SPIDER...in reality, young Tom Hallaway!